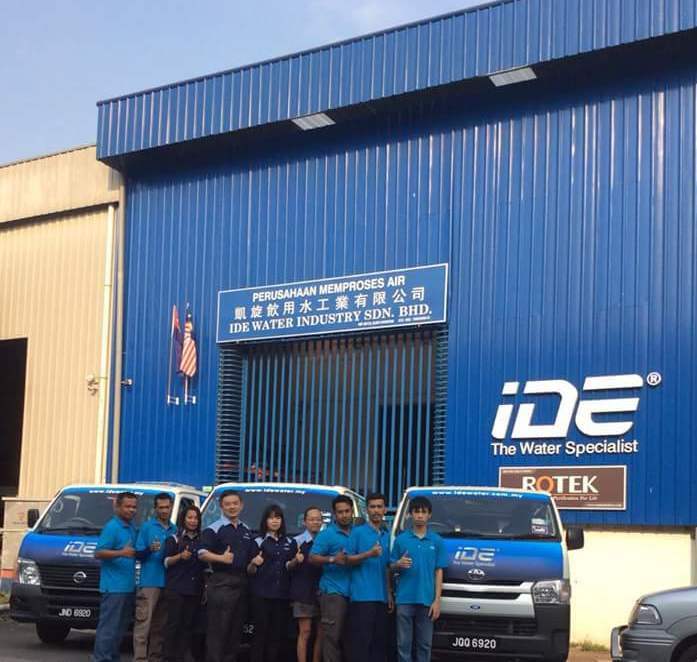 Our Company name IDE WATER INDUSTRY Sdn Bhd are incorporate with IDEALLEX Sdn Bhd . An company well known as I.D.E in southern region of Malaysia. We are major in produce RO drinking water & supply , provide Sales & Service Water filtration system for Food and Beverage industry, Restaurant, Cafe, Office ,household & all kind of factory . Our company also process & distribute of R.O drinking water services in Johor Bahru. Our Company also carry the branding filtration products from Australia & America like IDE , ROTEK , WATERCO & 3M Foods & Beverages Water filtration system as Authorized Dealer in Southern Region Of Malaysia. We are also provide Sales or Rental in water dispenser / water cooler with filtration system. Our Company in providing custom make filtration system from Taiwan & South East Asia, depend on our client requirments. Our sincere and services ,together in our company vision to bring forward to our future client in IDEAL > DEDICATION > EFFICENCY < IDE > We ensure our customers to buy an pure clean, healthy, safe water system.